Dehydration, In physiology and medicine, dehydration (hypohydration) is the excessive loss of body water, with an accompanying disruption of metabolic processes. It is literally the removal of water (Ancient Greek: ὕδωρ hýdōr) from an object". Websters defines it as an abnormal depletion of body fluids. While it is easy to take fluid intake for granted during our daily, just a few hours of hiking will quickly remind us the importance of proper hydration. Once the mind begins to crave water, it is difficult to concentrate. Further symptoms include weakness, dizziness and headaches leading to diarrhea, cramps and difficulty breathing. You can imagine your heart struggling to pump the blood and eventually leading to life threatening seizures and eventually death. Unless you are facing immediate danger from exposure water quickly becomes your top priority. 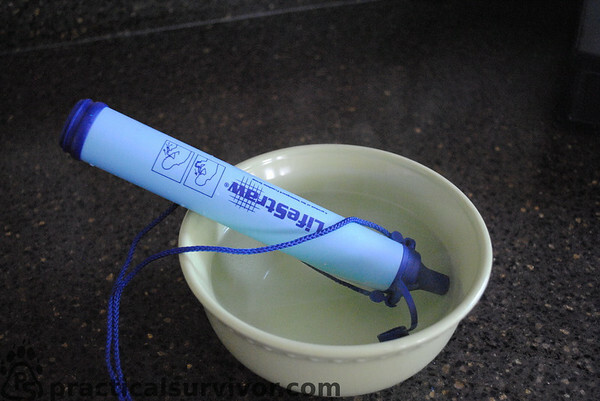 However, the Lifestraw and other filters like it are not limited to a survival tool. By designing a lightweight and reasonably priced filter, the filters can now be used as a part of your backpacking tools. 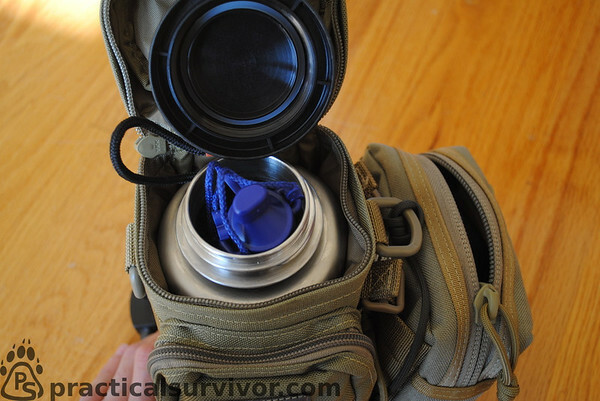 A two ounce water purification method opens up the possible applications (boat dry bag, get home bag, backpacking). The Institute of Medicine recommends 9 cups (2.2 liters) to 13 cups (3 liters) or more of water as an adequate daily intake. For this reason we stick to the rule of two is one. 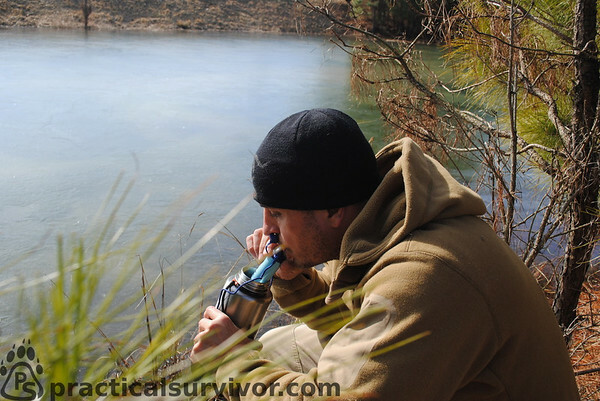 Carry multiple methods of water purification in your pack. Contaminated water leads to negative effects that will increase your water loss. 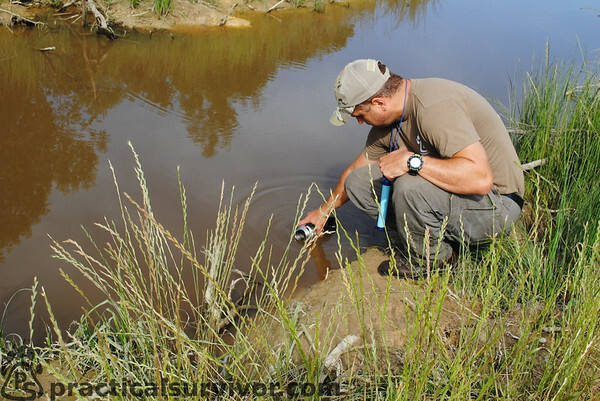 We cover emergency water filtration and alternate methods of water filtration in other articles, for the scope of this article we want to talk about Verstergaard Frandsen's LifeStraw®. 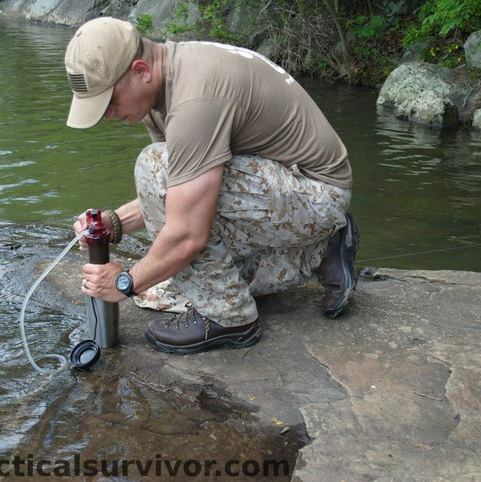 This lightweight water filter can be carried for backpacking or as an item in a survival pack. It has been used in countries where a large number of people do not have access to clean drinking water. 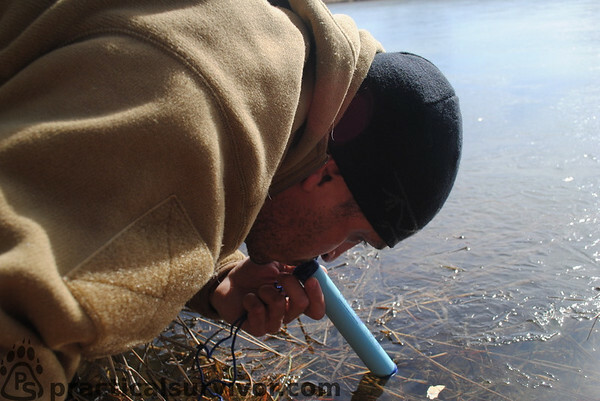 Named one of Time Magazine's best inventions in 2005, Lifestraw is a proven product. We test it in different environments and share our findings with you. 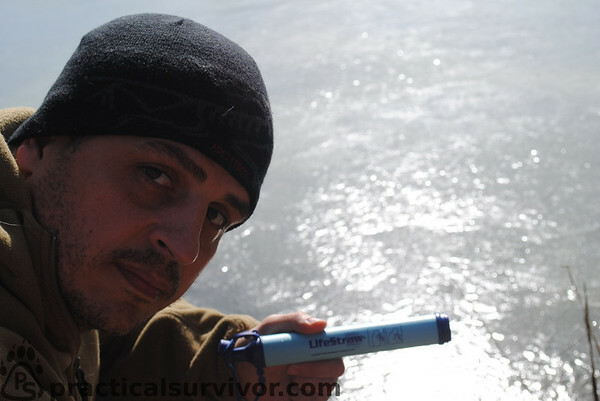 We received our Lifestraw and opened the package excited to run the tests. One of the caps to cover the filter end was broken. As noted the straw is lightweight, the first thing we tried to do was see if it would fit inside of our water bottle. The straw is slightly longer than a 38 ounce water bottle. However we were able to carry inside the bottle using a water bottle pouch. 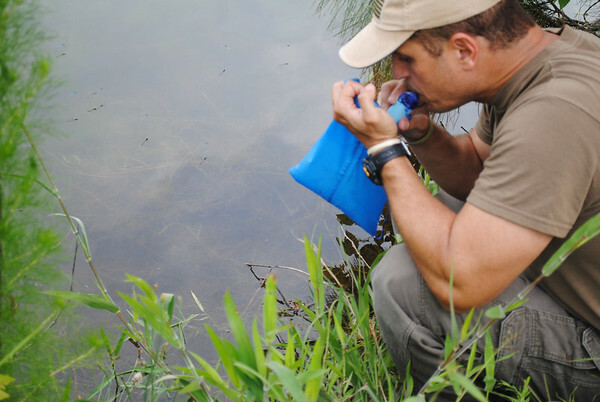 According to Veestergard's site the lifestraw can filter particulate matter larger than 0.2 microns. This is comparable to larger filters such as MSR's mini-works. The mini-works weighs in at one pound (Weight	1 lb / 456 g). Note: One thing to keep in mind are viruses. Viruses such as Hepatitis A, rotavirus, Norwalk virus which can average in size at 0.004 microns. If you live or are traveling in an area where this is a concern, then a water purifier may be a better solution. Something that adds a chemical such as a chlorine based or iodine solution. An example would be the MSR SweetWater. The First Need XL is supposed to be a chemical free option. More backpackers are using UV light for purification but this is not an area we are going to cover. There are several advantages to the lifestraw. Cost and weight. In regards to taste and turbidity removal, it would be interesting to run a comparison. 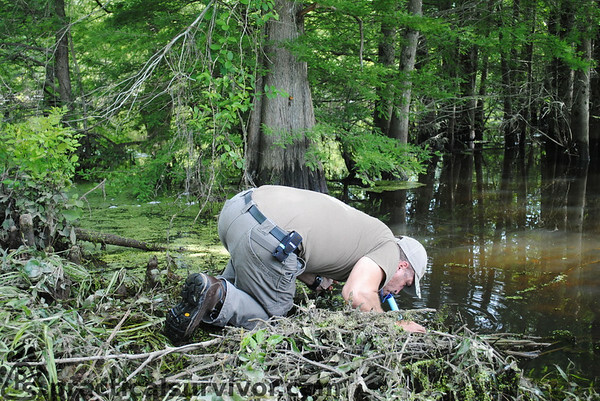 For now we will document the turbidity removal with the lifestraw. The MSR miniworks contains a carbon core to remove unpleasant tastes. From our experience using the miniworks on long term backpacking trips the taste of the water should be of higher quality. Miniworks "Filter Element Duration, 528 gallons"
Note: It is always a good idea to remove sediment from the water by filtering. Parasites and bacteria carried inside the solid (soil) particles are harder to destroy. 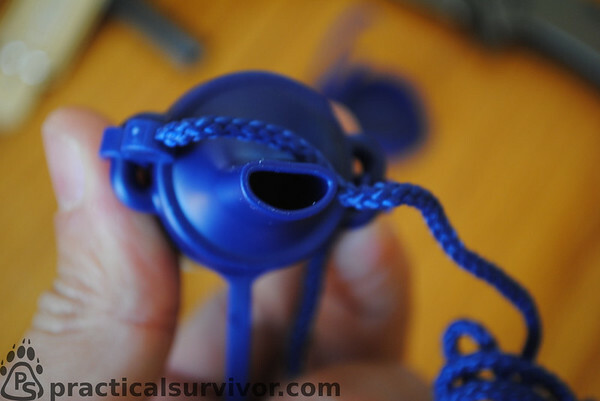 The lifestraw filter will slowly get clogged by sediment. Blowing water back out of the filter helps. However, a prefilter would be helpful. While it is possible to drink directly out of the source of water with this straw, we prefer to use a bandana or cloth to remove the larger particles from the water as it enters the water bottle. This is a good idea for several reasons. First, as we mentioned pre-filtering of any type helps remove sediment. Second, although most articles written show the user bending over the water, bending near water is dangerous. Whether you find yourself near cold water in a winter situation or next to a warm body of water filled with dangerous animals, leaning over a body of water is dangerous. We would only do this as a last option. 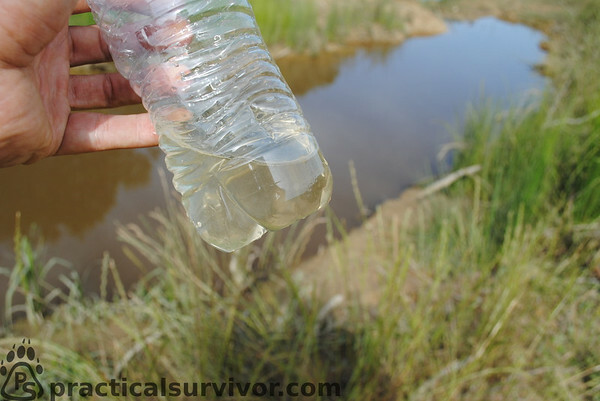 By tying a piece of cordage to the bottle we can lower the bottle into the water and reduce the risk of being attacked near a water source. 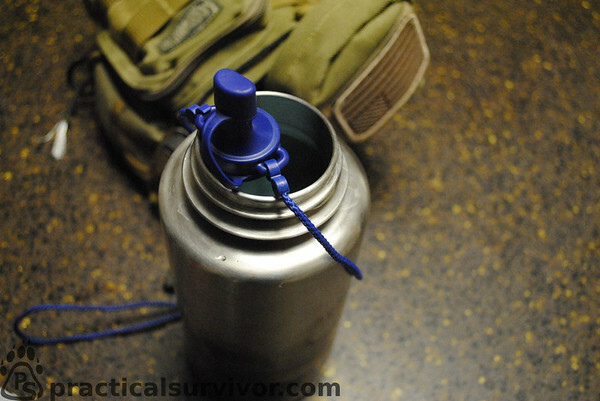 Carry a water bottle, fill it (use a bandana as a pre-filter) and then drink/filter from the water bottle. We began testing of the straw in winter time. Breaking through a thin layer of ice and drinking directly from a pond. Again, leaning over the edge of the water while getting your hands and knees wet and dirty is not a good idea. It became obvious that filling a water receptacle and drinking from it would simplify the process. Furthermore drinking directly from a cold body of water can drop your core body temperature and cause stomach cramps. The water from the ponds in the area was mostly clear and the taste was insipid. If you have the straw around your neck, be mindful of water dripping after you are done drinking. In a cold weather environment this could cause a chilly surprise. 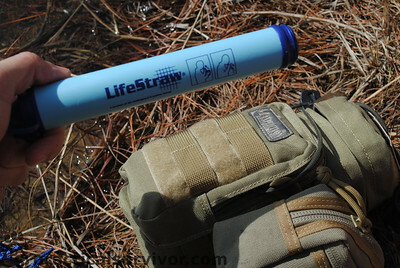 After using the straw on several hiking trips, we decided to use it in a more demanding environment. Swamps and feeder creeks tend to increase in turbidity after a rain storm so we did just that. We spent a weekend in the swamp and used only the straw to provide our drinking water. Note: The sediment from the marshy environment started to clog the straw, blowing back out of the straw helps but there were times where pulling the water through the straw became a laborious task. We would like to run further testing in high sediment areas to test the longevity of the straw. There are several questions that we wanted to address during this stage of testing. 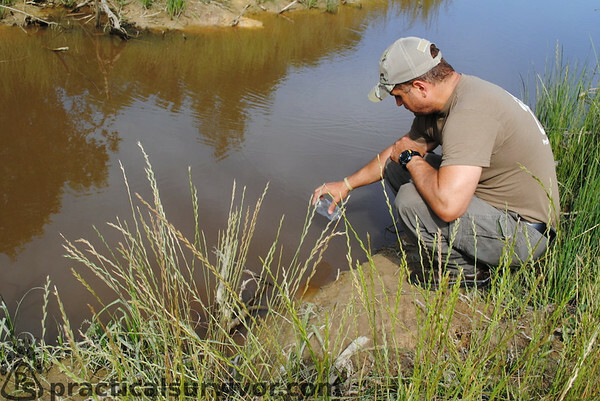 What would be the taste of the high tannin water found in the swamp and how much sediment would pass through the test. The pictures below show the water before and after filtration. 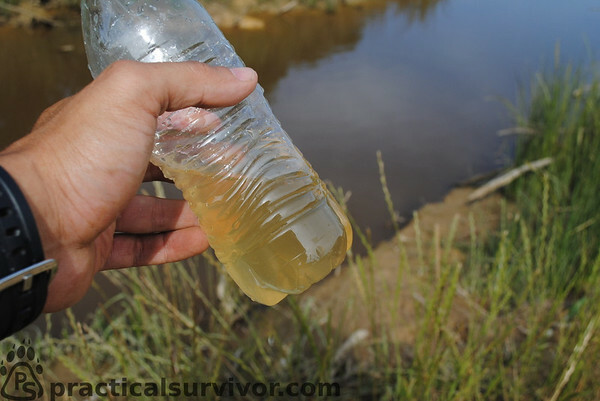 The water had a disting taste, its clear that you are drinking water with a higher level of silt. While the taste would be unpleasant to those used to drinking spring water from the sahara, it was quite bearable. Note: We tested the straw without any type of pre-filter. Using a piece of cloth from a bandana of shemagh should help reduce sediment particles and improve the taste. For an alternate, lightweight water receptacle we use a small boat dry bag or a sealable plastic bag (ziploc). We can wrap the bag around the straw using two rubber bands. bacteria remains which is equal to 10 colony forming units (CFU). After each test we prefer to clean the straw by boiling water and allowing the straw to sit in the water for several minutes. Some may see this as overkill but we feel its better to be cautious. This is a good time to draw clean water into the straw and blow it back out. 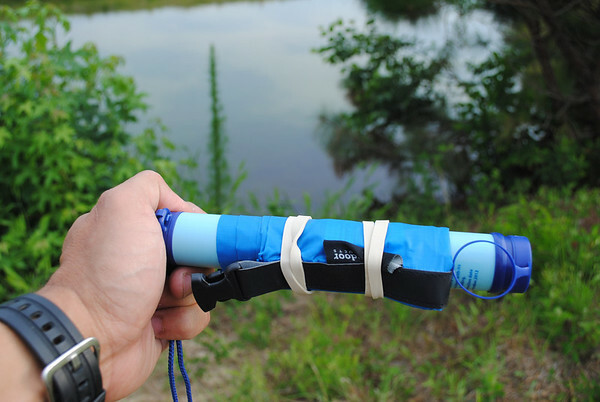 The Lifestraw Water filter is a lightweight alternative to other water filtration systems. 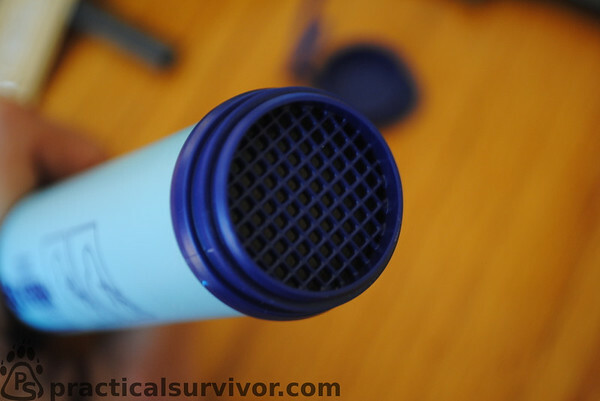 The option to carry a smaller and lighter filter allows backpackers to have a safe and efficient way to filter water in an emergency. For anyone building a survival or disaster preparedness kit the reduced cost will help with redundancy. For now we will include one of these filters in every one of our bags. 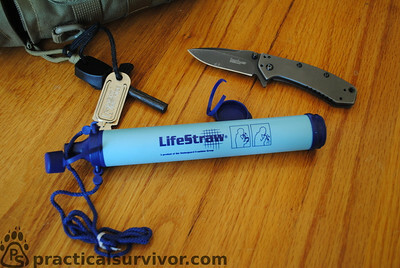 Whether you are going for a day hike or a month long trek, this straw could be a life saving item in your pack. For minimal cost you can enjoy your adventure knowing you have a reliable way to quickly without the need of fire. As we always say, do not live paranoid, live prepared. Special thanks to my beautiful daughter AnnaGrace she is my companion and photographer. Related Articles: Water Purification article.